By Michael Park, 9/10/2004 - Update to 2004 article: Representative Eliot Engel (D-NY), Nancy Pelosi and WM Broomfield (R-MI) all use the term “Agenda 21” and “United Nations” on this CSPAN video at 11:43:30. 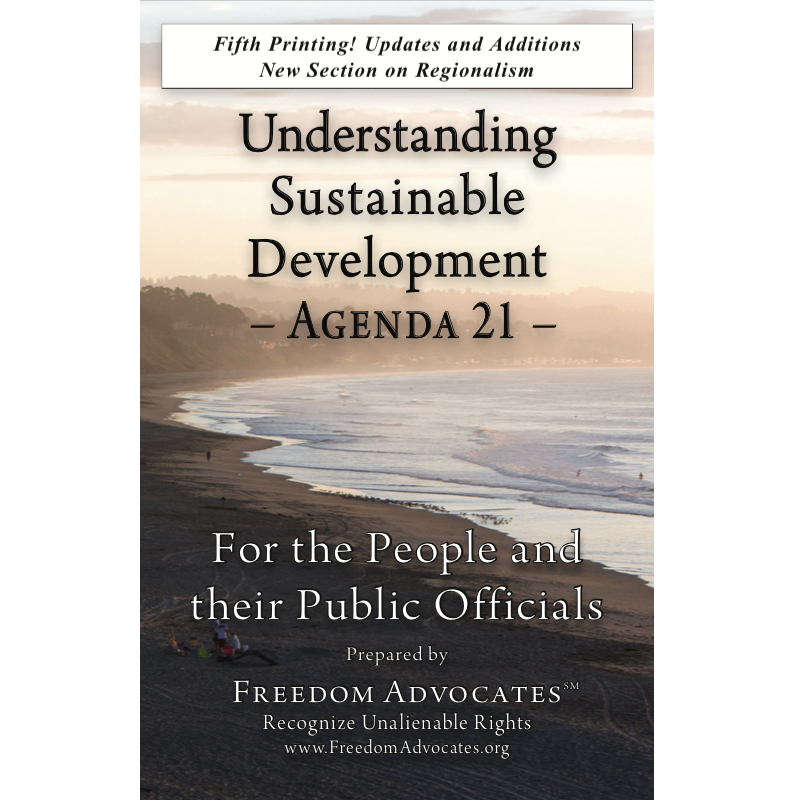 WASHINGTON D.C. - Though Congress never voted to support and implement Agenda 21 (aka Sustainable Development) -- and its implementation has been accomplished through executive orders and the activities of NGOs -- there is evidence that some representatives tried very hard to push it through early on. "...your proposal doesn't make it affordable. It just benefits a lucky few and raises prices for the many. Your restrictions hurt the people you want to help, Sam." Naval Post Graduate Professor and Hoover Institute Fellow David Henderson has a revealing discussion with Congressman Sam Farr over housing at Fort Ord, in Monterey, California. 8/18/2003 - SUMMARY: Geopolitical Journalist Joan Peros shares what she's learned at press conferences and meetings o­n the global stage, and exposes a connection between homeland security to an agenda for global governance.